When you reach the end of your homeschooling journey, which moments will you look back on with joy? What will have been the most important thing that you accomplished? What legacy will you have left with your children? Meet Dave and Pam and their three grown children: James (21), Deanna (19), and Brent (17). From their home in St. Catharines, Ontario, Dave and Pam are watching their children pursue their dreams and strive to be the best they can be. But let’s rewind a bit, back to when James was beginning kindergarten. 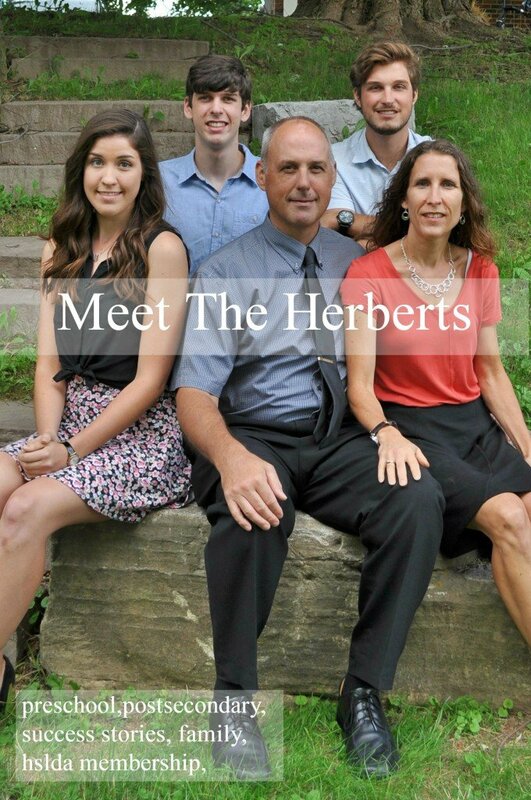 Surprisingly enough, the Herberts’ homeschooling journey began with not one child, but two! “The first year as I was homeschooling James, my second child, Deanna, turned 3, and she would often sit with us because it was interesting to her. By age 4, she was sounding out words on her own just from listening in on her brother’s lessons!” laughed Pam. All the kids shared a passion for volleyball, and it was here that Pam used her organizational skills to provide a fun experience for the high school students in their support group. Insurance through their HSLDA membership was invaluable for these group activities. The children have now finished their homeschooling years and are pursuing their own unique paths. James earned his degree in journalism, followed by his graduate degree in public relations, from Niagara College. Currently, he is enjoying his position in sales and delivery. Deanna received her national lifeguarding certificate, and has since received several awards for her exemplary work. She was first recognized as employee of the year for her department, and then as employee of the year for the entire company, which has hundreds of employees! Brent recently graduated and has joined the workforce while deciding which career path to pursue. He has a strong memory for science and history, and this past year, he and Pam embarked on J. Wile’s Advanced Physics together! “We had a huge feeling of pride and accomplishment when we completed this course. Perseverance was learned along with the lessons!” exclaimed Pam. While Dave and Pam have now finished their homeschooling journey, they will always treasure the impact that it has had on their family. “The children know how to work hard, do their best, and be kind to others, and that is what training our children all is about,” said the proud parents. They look forward to all that the future holds for their family.